Daimler and automotive supplier Robert Bosch will start testing self-driving so-called robo-taxis in the next few months, senior executives told a German weekly. 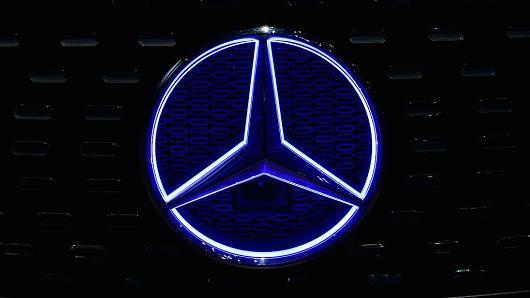 Mercedes-Benz owner Daimler and Bosch teamed up last year to develop self-driving cars in an alliance aimed at accelerating the production of robo-taxis, joining a growing number of rivals trying to do the same. "There will be test vehicles on the streets in the coming months," Bosch Chief Executive Volkmar Denner told Automobilwoche, without being more specific. The pact between Daimler, the world's No.1 maker of premium cars and Bosch, the world's No.1 automotive supplier, forms a counterweight to new auto industry players like ride-hailing firms Uber and Didi, which are also working on self-driving cars. Last month, Alphabet Inc's self-driving unit Waymo said it had begun testing self-driving vehicles in Atlanta, bringing to 25 the total number of U.S. cities in which it is testing. Technology companies and carmakers are striving to adjust to a shifting landscape in the auto industry as consumers increasingly use smartphones to locate, hail and rent vehicles, rather than going out and buying cars. "Apart from highly autonomous level 3 vehicles we will also bring fully autonomous vehicles - level 4/5 - to the streets in the foreseeable future," Wilko Stark, vice president Daimler and Mercedes-Benz Cars strategy, told Automobilwoche. A level 3 car still needs a steering wheel and a driver who can take over if the car encounters a problem, while level 4 promises driverless features in dedicated lanes. Full autonomy - known as an "eyes off, brains off" or "level 5" system - does away with even the need for a steering wheel. "The big difference to other competitors is that we are conceptualizing our vehicle as a robo-taxi right from the beginning and not as a technology-kit mounted on a serial vehicle. We will not have a makeshift solution," Stark added.